In the aftermath of the Red Tide, the Pinellas County Commission will vote Thursday to seek a $1.3 million emergency grant to offset the cleanup of tons of dead fish. Commissioners will vote on the emergency measure during a scheduled meeting Thursday afternoon. The request to the Florida Department of Environmental Protection is standard during emergencies, officials said. If approved by the state and county, the grant would cover debris cleanup between Aug. 31 and Dec. 1, according to records. Last month, the County Commission approved an order to waive tipping fees at the landfill for trucks hauling dead fish. 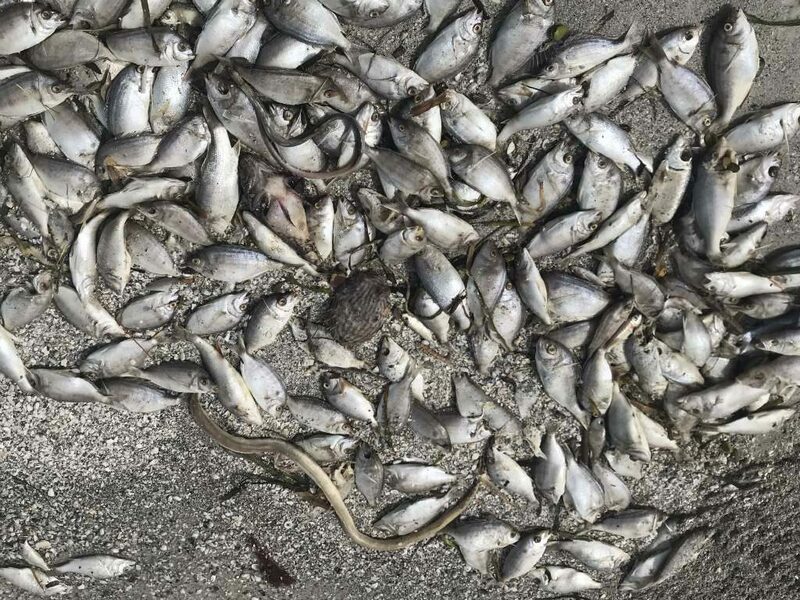 On Saturday, Pinellas County environmental officials reported that hundreds of thousands of dead fish washed up on and area beaches, stretching more than 20 miles from Clearwater to St. Petersburg. Rahim Harji, the assistant county administrator who oversees solid waste, said the the county waives tipping fees "to help with the cleanup." On Monday, two shrimp boats and three other pieces of commercial equipment were deployed to collect the fish before they washed ashore. But it is wasn't enough. Contractors were asked to bring in more equipment, including large beach rakes to scoop up what makes it to shore. The county, Harji said, had more than a month to prepare for Red Tide to invade the shoreline and wanted to minimize the amount of dead fish that could have wreaked havoc on beaches. "Once they make it to the shore, it gets more labor intensive to clean them up," Harji said about the fish.